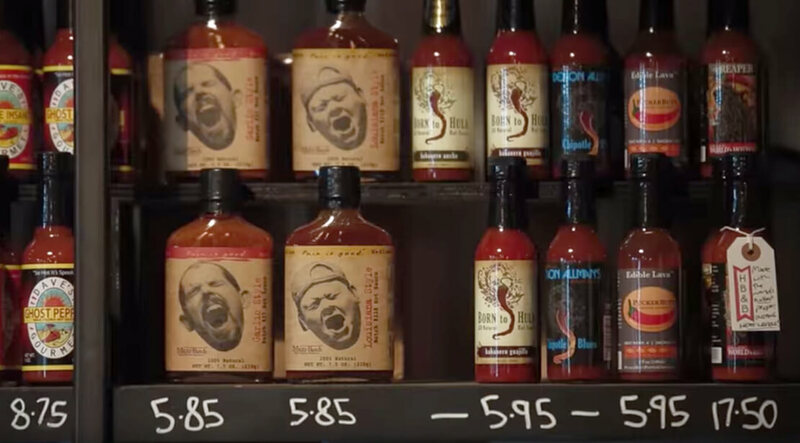 Hop Burns & Black is a craft beer, hot sauce, and vinyl records retailer based in Peckham Rye, South London. Two-time winner of Time Out’s Most Loved Peckham Shop award and London Retailer of the Year at the 2016 Celebrate British Beer Awards. 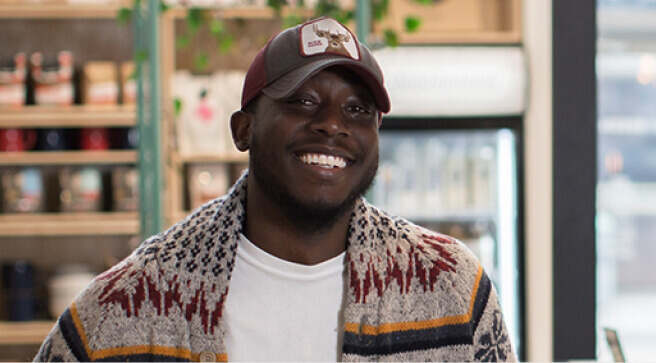 Hop Burns & Black runs one brick and mortar location (with another in the pipeline) and an ecommerce store powered by Shopify. Win sales from slower competitors by quickly getting products online. Increase sales 25% via ecommerce. Get an at-a-glance view of bestsellers and business performance. Effectively schedule staff according to projected need and volume. Build and grow a strong customer database and reward loyal patrons. Manage the business from anywhere (even while in pyjamas at breakfast!). 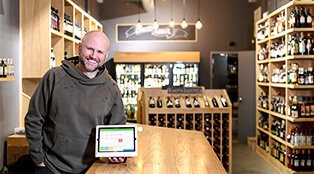 With thousands of stock items from around the globe and no background in retail, the Hop Burns & Black team needed an intuitive, easy-to-use POS system with serious inventory management capabilities. Jen Ferguson and Glenn Williams wanted to start a shop devoted to what they call their three greatest obsessions: beer, hot sauce, and vinyl records. After settling on the idea and the name for their business (Hop = beer, Burns = hot sauce, Black = vinyl), the Kiwi-born London transplants secured themselves a brick and mortar location in Peckham Rye, South London and subsequently set an opening date of November 2014. With craft beer on the rise, Jen and Glenn knew they’d need to maintain a fierce dedication to exceptional quality, selection, and customer service in order to stand out from the competition and to bring the world’s best beers to their local community. The duo quickly realised that this lofty goal would require a point of sale system capable both of creating a memorable customer experience and smoothly handling thousands of items of inventory. They began their POS search with those customer service and inventory demands at the head of the pack. Other needs on the list? A system they'd be able to quickly learn in the hectic lead-up to Hop Burns & Black's grand opening - and one they'd be able to easily operate once business got going. After a long research journey, Jen and Glenn chose Vend as the POS for Hop Burns & Black. They knew they could count on our inventory management capabilities and user-friendly interface. Jen and Glenn did their homework and finally settled on Vend as the ideal solution for their new business venture. They contacted their fellow retailers to find out who used Vend already and then met with those existing Vend customers to see the system in action. What they didn’t know at the time, though, was that their insistence on an easy-to-learn and easy-to-use POS would actually be critical. Hop Burns & Black got off to a smashing start with Vend, and the shop quickly became a staple in the area. Jen and Glenn now use Vend on iPad and laptops in the store. In addition to Vend and Shopify, they use Xero (integrated with Vend) for accounting, MailChimp for email marketing, an “invaluable” Socket Mobile Bluetooth scanner for hardware, and Worldpay for payments. 40% YOY growth, total control over inventory, a smooth and profitable move to online sales, valuable hours saved on stocktaking, the ability to run the business remotely, and smarter decisions on products and scheduling. Thanks to their passion for their products, their commitment to above-and-beyond customer service, and the customer experience they’ve been able to cultivate using Vend and our app ecosystem, Jen and Glenn have gained a staunchly loyal following and garnered praise as the London Retailer of the Year at the 2016 Celebrate British Beer Awards and the two-time winner of Time Out’s Most Loved Peckham Shop. Vend’s inventory management capabilities have allowed Hop Burns & Black to save “countless hours” on stocktaking. Their quarterly full inventory counts have become much more accurate, and they’re able to conduct regular partial stocktakes without having to shut down the shop or tie up staff. The co-owners have also been able to maximise profit and efficiency with Vend Reporting, using the analytics to make data-backed decisions on scheduling and product management. Overall, Hop Burns & Black has seen 40% YOY growth, with Vend as the “cornerstone” of it all.